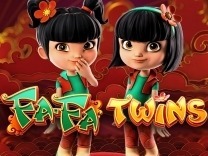 Want to get Betsoft games for your casino? I am interested in Betsoft. 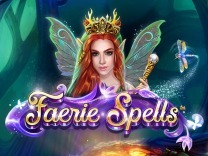 Enter a magical world where there are greedy goblins with this amazing slot by Betsoft - Greedy Goblins.Discover a world where elves rule and you have to take your fate into your hands against these creatures as you spin the reels for big wins. There are different characters in this slot which make it exciting and fun to play. Greedy Goblins is a 5-reel, 3-row and 30 payline slot with wilds, free spins and bonus rounds.So get ready to uncover the secrets hidden in this world. 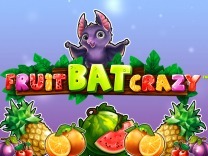 Betsoft has outdone itself once again with this amazing video slot. The characters are highly animated with the goblins and elf walking around the slot whenever you land the bonus symbols. You will also note the background where the slot as this slot is set in a forest with the elf house by the left of the slot. The intricate details which went into creating this slot delivering it in superb graphics and visuals. 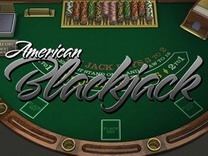 There is also a soundtrack which keeps on nudging you to continue spinning the reels for bigger wins.This slot is a medium variance slot, and you will be amazed by the payouts being offered. The slot will give regular payouts when spinning the reels but you will have to be patient if you are looking for the bonus symbols. This slot is recommended for all players whether novice or veteran. It offers excitement and fun. The easy accessibility of the controls and payline table also adds to the enjoyment. 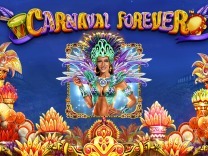 There are different symbols which are incorporated in this slot which make it exciting and fun to play. There are goblins, elves, mushroom houses, diamonds, a crown, a goblet, and a poster, these are the only symbols which are incorporated into this slot, unlike most slots where there are generic card symbols incorporated into the slot. These symbols are the high and low paying symbols. players get awarded a high of 62500 credits for matching 5 of the elf symbol while the lowest amount which is paid out is 25 credits for matching 3 of the poster symbol.To play this game, players have to set a wager. This can be done through the -/+ buttons at the bottom of the slot. Players can choose the coin value which ranges from 0.02 and 1. There is also a prompt to set the number of coins per bet line which can be adjusted from 1 to 5 which will bring the maximum bet to 150 credits. There is also an autoplay feature which will allow you to spin and wait for the wins to land. In Greedy Goblins, you will find 30 paylines which will give you enough chances of making winning combinations with each spin. You have to match at least 3 symbols on a payline to receive a payout.Watch out for the elf symbol as this is the best symbol in the slot. Matching 5 of these symbols will award a jackpot depending on your bet. While you find that there is a wonderful base game, the bonus features are what makes this game stand out from all other online slots. You will find coin drops, sticky wilds, free spins, a bonus round and a gamble feature.To trigger the coin drop, you have to land 2 or more gold coins anywhere on the reels. The goblins will rush out to collect it and with each coin collected the symbols will cascade down from above. Receiving another coin will result in an extra credit win. Credit wins are calculated before and after the coins have been collected and new winning combinations which occur due to the coin drops will be paid out.There is also a sticky wild reel which is triggered by the symbol of a shack. Whenever this symbol occurs on the reels you will be awarded up to 3 respins. The reel will then transform into a wild and if any additional shack symbol happens to land on the reels then it will remain a wild for the remainder of the respins.A free spins mode will surely help you get enough wins, and this is exactly what you will receive when you play this slot. This is triggered by landing 3 or more Elfania signs anywhere on the reels. 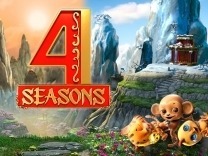 Landing 3, 4 or 5 of these symbols will award 10, 15 and 25 free spins. When playing this mode it is important to know that certain special symbols will subject your winnings to multipliers displayed by the symbols. 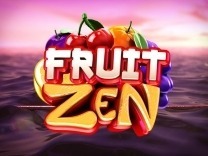 You can also retrigger additional free spins when still in this feature.To trigger the bonus round you must land 2 books of secrets symbol on an active payline. This symbol may only land on reels 2 and 4. 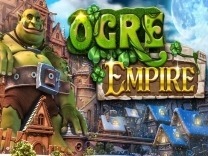 In this game, you will control the greedy goblins as they break in and rob great ideas from mortal enemies. You will need to choose areas on the screen so as to collect credit awards. You will be required to continue choosing until the collect prize is revealed.Finally, there is a double up feature which is activated after any standard payout during the base game. This game is presented as a coin toss by the elf. You are required to choose the correct side of the coin either the heads or tails to double up your wins. incorrect guesses mean forfeiting your wins.